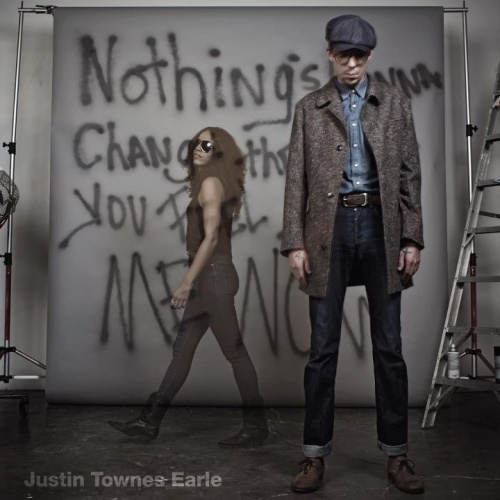 Justin Townes Earle is a stylistic chameleon. Each of his four records has had a distinct sound all its own. This time around on Nothing’s Gonna Change The Way You Feel About Me Now Earle has added horns to the mix and came up with a R&B and jazzy feel. His overall sound is still very similar, it is still obvious that it is a Justin Townes Earle record. The collective group of backing musician is a revolving door however. This gives him the ability to jump genres and make very unique records that are distinguishable from one another. The actual songs here are a little weaker than his last offering, Harlem River Blues, but are still a strong group of songs that hold together well. Many slower songs make the cut this time around with a couple exceptions, the main culprit being “Baby’s Got A Bad Idea” where Earle lets loose more than on any other song. The end of the album seems to be a strength of it, “Memphis In The Rain” may be as close as Earle gets to the Harlem River Blues sound on this album and it is a highlight. After slowing things back down with “Unfortunately, Anna” the record ends with its strongest song “Movin’ On” On that final track, the upright bass keeps a nice bounce to the track while Earle rolls through what seems to be very autobiographical lyrics. This won’t stand up as one of Earle’s best albums for me but since he jumps stylistically so much from record to record that could be more due to what kind of music it is rather than the quality of it. This entry was posted in 250 word album reviews and tagged 250 word album review, 3.5 Stars, Harlem River Blues, jazz, Justin Townes Earle, Nothing's Gonna Change The Way You Feel About Me Now, R&B. Bookmark the permalink.